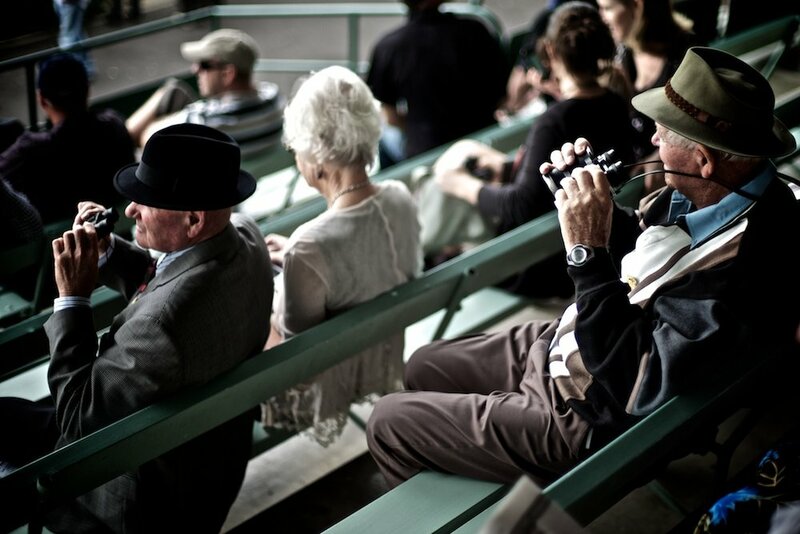 The penultimate post of this series see's me concentrating on the people at the races, both staff and racegoers alike. As I discovered the last time I went to a race day - Here, these events are great for capturing people. Without the restrictions I faced previously and with the added bonus of my "Access All Areas" pass I was able to move around freely. I can still clearly remember when the thought of photographing people I didn't know at such close quarters was more than a little bit daunting, now it's second nature and I am very comfortable with it. Let me start by saying I'm not a gambler........the thought of loosing a dollar offsets any possible pleasure I may gain from winning!!!! It is however a fun day out, at Tauranga races the experience is very relaxed and friendly, in essence it's typically Kiwi and not at all like a day at The Cheltenham Gold Cup or Royal Ascot in the UK. They say great things come in small packages........ Wellington is certainly small, in the region of half a million inhabitants and its most definitely great!!! There's a buzz to the place, a real cosmopolitan feel that defies it's size. If "Shabby Chic" is your thing, Wellington has it in spades. Its a city I always look forwards to visiting, but the wind blows a little too strongly to ever consider making it home!! !